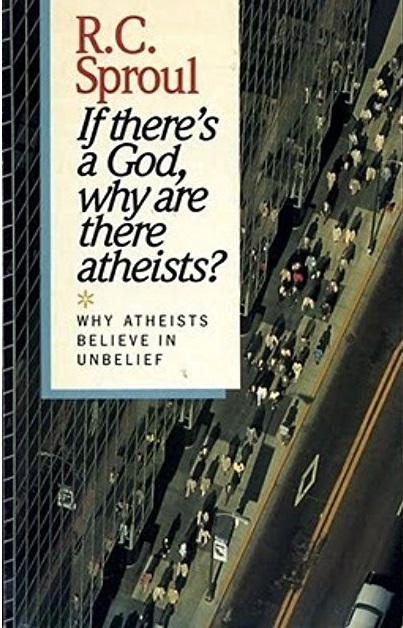 It is also very important to note that what Freud and others offer are plausible alternate explanations to the origin of religion other than those offered by theists. It is one thing to demonstrate that man can fabricate religious experiences; it is another thing to demonstrate that he actually does so. It is one thing to argue that men can invent religion out of psychological necessity; it is another to argue that he does. The former involves questions of psychological and intellectual ability; the latter involves questions of history. When Freud spoke of origins, he was writing as a historian, not as a psychologist. We know his competence as a psychologist; his competence as a historian is certainly not so well attested. A tribute to R.C. Sproul who has just gone to glory. Freud theorized that religion must have evolved from animism to monotheism. The impersonal forces of nature are remote and unpredictable. Hence, nature must be conceived as animated by divine powers who resemble human beings. These powers may be malevolent, but since they behave like humans, we at least know how to deal with them. Religion then progressed from simple animism to complex monotheism which culminates with God as a benevolent Father figure. Premise A – The Bible is a basically reliable and trustworthy document. Premise B – On the basis of this reliable document we have sufficient evidence to believe confidently that Jesus Christ is the Son of God. Premise C – Jesus Christ being the Son of God is an infallible authority. Premise D – Jesus Christ teaches the Bible is more than generally trustworthy: it is the very Word of God. Premise E – That the word, in that it comes from God, is utterly trustworthy because God is utterly trustworthy. Conclusion – On the basis of the infallible authority of Jesus Christ, the Church believes the Bible to be utterly trustworthy, i.e., infallible. “Come now, Let us reason together, says the Lord.” (Isaiah 1:18). These speakers were trying to confuse Christians with fabricated lies. Instead of clarifying confusion among Muslims, they were promoting prejudice among Muslims against Christianity. Christians are justified if they feel offended. However, they are mindful of the divine exhortation given in their Holy Book on how to respond peaceably to faultfinders, “Have no fear of them, nor be troubled, but in your hearts honor Christ the Lord as holy, always being prepared to make a defense to anyone who asks you for a reason for the hope that is in you; yet do it with gentleness and respect, having a good conscience, so that, when you are slandered, those who revile your good behavior in Christ may be put to shame” (1 Peter 3:14-15). Instead of reacting to these Muslim polemicists, Christians are more interested in reaching out to other Muslims who are sincere when they raise questions about Christianity as these Muslims genuinely believe in constructive dialog. To these sincere Muslims we would like to offer “FAQ: Muslim Questions – Christian Answers” as a modest contribution to promote interfaith understanding. Hopefully, the two FAQs given below will assure Muslim inquirers of the intellectual integrity and peaceful intentions of the Christian community. Kesusasteraan polemik yang menyerang kepercayaan Kristian mudah didapati di kebanyakan kedai-kedai buku di Malaysia. Polemik ini mendapat perhatian media ketika institusi pengajian tinggi menganjurkan forum untuk menyebarkan maklumat palsu tentang agama Kristian. Namun daripada merasa takut, umat Kristian mengalu-alukan serangan seperti itu kerana ia memberikan peluang kepada orang Kristian untuk menjelaskan iman mereka. Tetapi dengan tulus hormatilah Kristus sebagai Tuhan dalam hidup kamu. Hendaklah kamu sentiasa bersedia memberikan jawapan kepada sesiapa sahaja yang meminta kamu menjelaskan harapan yang kamu miliki. Tetapi lakukanlah hal itu dengan lemah lembut dan hormat. Hendaklah hati nurani kamu murni, supaya apabila kamu difitnah kerana hidup dengan baik sebagai pengikut Kristus, orang yang memfitnah kamu itu akan menjadi malu (1Petrus 3:15-16). Why do atheistic evolutionists conclude that Christianity is false? Basically, there rely on the following argument. 1) If evolution is true, there was no first, historical Adam. 2) If there was no first, historical Adam, there was no Fall. 3) If there was no Fall, the sinful condition of humanity is not an inescapable condition. 4) If the sinful condition is not an inescapable condition, moral and religious categories like ‘sin’ and ‘salvation’ are irrelevant or unnecessary, as evolution will take whatever course it takes by chance]. 5) If salvation is irrelevant or unnecessary, there is no need for a Savior. Conclusion: If evolution is true [i.e. there was no historical Adam], then based on (5) and (6), Christianity is false. 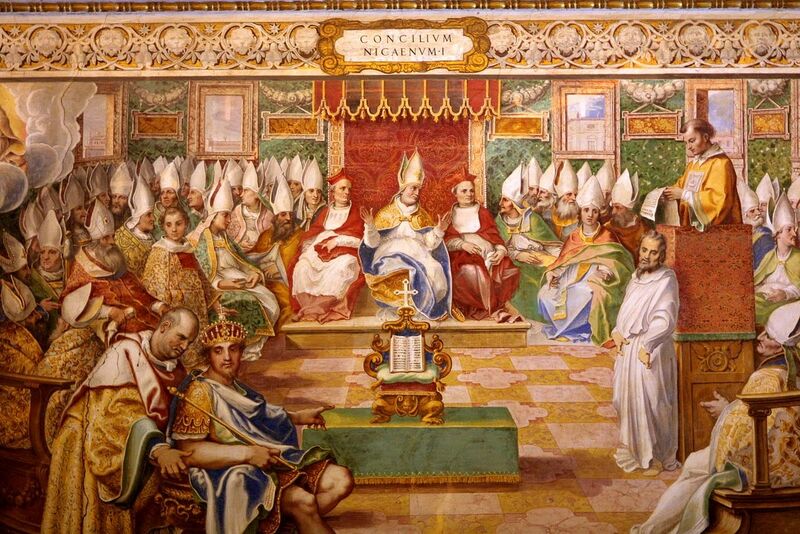 The Nicene Creed is arguably the most succinct statement of the doctrine of Trinity. It is the Christian ‘Diamond Sutra’* that cuts through the deception of the slogan of Arian heresy/illusion about Jesus Christ, “There was when he was not”. Arianism asserts that (1) the Son must be a creature, (2) the Son must have a beginning, (3) the Son can have no communion with, or direct knowledge of, His Father, and (4) the son must be liable to change and even sin. The controversy arising from Zakir Naik’s visit to Malaysia reminds Christians that it is crucial to uphold the inerrancy of the Bible. First, it is well known that Zakir Naik and other Islamic dakwa-gandists unceasingly attack the Bible as a corrupt text. They further assert that the Bible cannot be the Word of God in the light of the alleged errors and contradictions found in it. It is self-defeating and futile for a Christian to try to witness to Muslim critics like Zakir Naik if he agrees that the Bible is corrupt.